Custom Fluidpower , an independently owned hydraulic solutions provider, is opening a new branch in Gladstone. Custom Fluidpower is a distributor of world leading brands and a provider of engineered fluid power services. 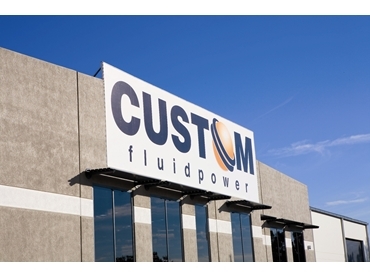 Custom Fluidpower has a major focus on QLD and has built custom designed facilities in Mackay and Brisbane which can cater for long term growth in the market. They have 220 skilled employees and the new branch will bring the total to nine. They will now have four sales and service centres in Brisbane, Emerald, Mackay, and Gladstone from which to service their QLD customers. These four hubs with their in-depth capabilities will enable customers to access great service from a single experienced provider. Custom Fluidpower’s Sales Director Neil Martin said, “Due to services provided by our Brisbane branch, we have already developed many great relationships with customers based in Gladstone. A desire to better serve these customers, combined with new opportunities in the gas sector, lead to our decision to open a local facility”. The new branch is well placed to service local industry from port, gas and coal projects through to local hydraulic service providers. Custom Fluidpower is experienced in the provision of services relevant to the Gladstone market - from braking systems for ports and complete drill rig hydraulic packages, including design and fitting, through to smelters. The Gladstone branch will offer a wide range of fluid power solutions from complete system design and product sales through to field service, workshop repairs, and installation and commissioning. The Gladstone branch will be managed by Stephen Hooper who is currently Branch Manager of Custom Fluidpower’s Emerald Branch. Stephen will relocate to Gladstone and still maintain management responsibility for Emerald’s Branch in conjunction with a strong local team based in Emerald.